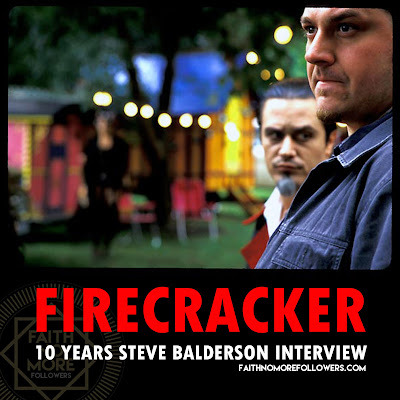 On October the 11th 2005 FIRECRACKER was released. Directed by Steve Balderson the award winning film tells the story of abuse and murder in the small Kansas town of Wamego. 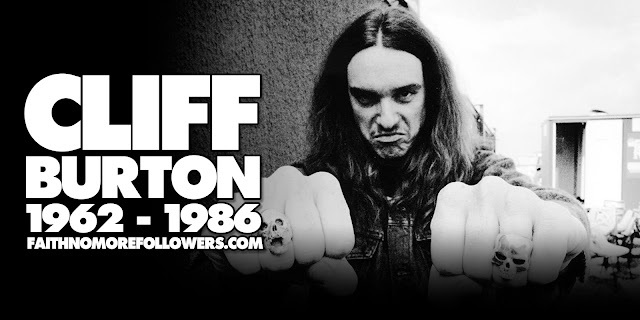 Mike Patton and Karen Black both play dual roles, Patton is the abusive and violent David and the cruel circus master Frank. While Black plays a religious doting mother an alluring but enslaved circus performer. The production is stunning the script is engaging and the acting captivating. 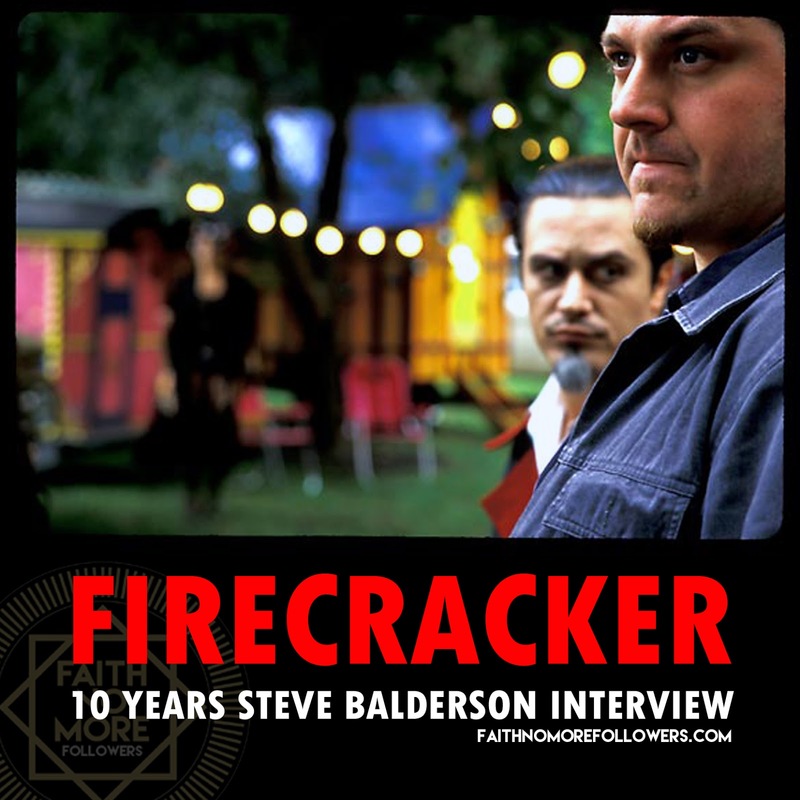 To celebrate the tenth anniversary of FIRECRACKER we had the pleasure of speaking to the director himself. How did the casting of Mike Patton come about? I wanted Patton to play the freak show owner’s sidekick, and had intended on having Dennis Hopper play the sideshow owner Frank. But after we couldn’t find the funding with Hopper attached, I decided to go back to my initial conception of the film, which was originally to have whoever played the mother also play the sideshow singer, and whoever played the brother also play the sideshow owner. So I decided to replace Dennis Hopper with Mike Patton, and oddly enough we seemed to find the funding overnight. I read that you particularly enjoy casting musicians in your films. How does working with someone from this background differ from trained actor? In particular Mike Patton. Working with musicians is great. They’re already performers. They’re acting each time they go on stage. Each person already does it, the major difference being that acting for film is considerably more subtle than acting from the stage. But Mike was a total pro. Working with him was amazing. And he nailed that subtlety perfectly. As did Kevin Richardson of the group Backstreet Boys, when he played the abusive cutter in my film THE CASSEROLE CLUB – which won him a best Actor award at the Independent Vision Awards. Musicians are great actors – look at Dwight Yokam in SLING BLADE. Amazing. I think Mike Patton's performance as David is much more focused and terrifying than as Frank. I wonder can you enlighten us on how Patton and Karen Black prepared to play dual roles? We spoke about it a lot before shooting, and we filmed them at totally different times. We started with all the Frank/Sandra sideshow stuff, and then shot all the David/Eleanor stuff second. Yes, Frank is meant to be harsh and his voice is so slimy, whereas David is more internal and with a deeper darkness. If Jimmy invented the freak show world as a way to handle his abuse, it would be natural for him to envision the portrayals of Frank/Sandra in the way they are presented to us as viewers. With him playing such grotesque characters did this effect his mood and that of the other cast and crew off set during the filming? During the takes it was very tense, and sometimes very scary, chilling, and likewise sometimes really dark and emotionally draining. But after we wrapped the shoot each day, everyone had a ball (except for one crew member who was a total douche). Do you think his own talent for creating and performing bizarre roles in his music helped his acting? Definitely. Especially finding the vocal quality for each character. Mike Patton has a wonderfully distinctive voice and your direction and script seem to really emphasise this. Was the script written or improvised with this in mind? Mostly everything was written, but as I do in all my films, I let the actors have some flexibility and the freedom to create and improvise if they feel it. Patton also has a demonic stare which the camera fully highlights. Would you define this as acting or direction? Both. If the direction isn’t spot on, one might miss the moment, and if the acting isn’t spot on, there’s no matter where you put the camera. Luckily Mike and I worked really well together in that regard. 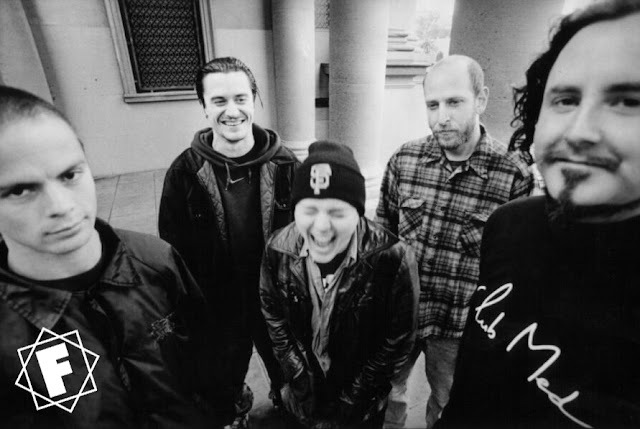 Mike Patton seems to have been born to play a villain. Firecracker was a great start to what could've been a long acting career. However he never followed the path. Any thoughts on why? Perhaps the right project hasn’t come around yet. I don’t know. I do know that he really values his experience creating music. Firecracker is set in the town you grew up in and is concerned with real events. How do approach composing a script and directing when the story is already written and the backdrop is so familiar? Well, we had parts of the story clear to us, but there were parts that are still a mystery. When Jimmy came up for parole the judge sealed the case and esponged his record. When I went to the court house they showed me the transcripts, but they couldn’t open them and neither could I. So we interviewed people who were still alive, including the real-life Jimmy. And I agreed for the respect of his story to change their names and never mention them to anyone. Although if you ask anyone in Wamego they tell you the real names. The film is shot in vivid colour and stunning black and white sections. Does this relate the constant theme of duality? Yes. There’s a page on my website called MIRROR IMAGE: BEHIND FIRECRACKER which explains the origins. One can see that you were influenced by the films of Alfred Hitchcock. Where else do you draw inspiration from? Stanley Kubrick. What a genius. And John Huston. Louis Malle. Really there are a ton of filmmakers whose perceptions I love to watch and explore. Sadly Karen Black passed away recently. Her performance in Firecracker is outstanding to the point where the audience is convinced that there are two separate actors in those roles. What specifically attracted you to her for the film? She’s incredible. And was such an incredible awesome person to work with. I think it was her cat-like look and demeanor that initially drew me to her for the part of Sandra. At one time I wanted Sally Kirkland to play Eleanor, but when I decided to do the dual roles concept, I had to let go of Sally and put Karen in both parts. I worked with Karen a couple times – she’s also in my homage to women in prison films called STUCK! co-starring with Mink Stole. Karen was a great friend, and a wonderful person. Your films are horrific and brutal. What is it that draws you towards such themes? I love exploring all sorts of behavior. Psychotic people are intriguing. Why do they decide and chose to do the things they do. It’s wild to study. I’ve also made some films that are tender and nice, like OCCUPYING ED or EL GANZO and some that are action driven – like CULTURE SHOCK. But yes, I have a soft spot for exploring sick and crazy people. You have a very impressive catalogue of award winning films and are always busy! What can we expect from you in the future? And finally. 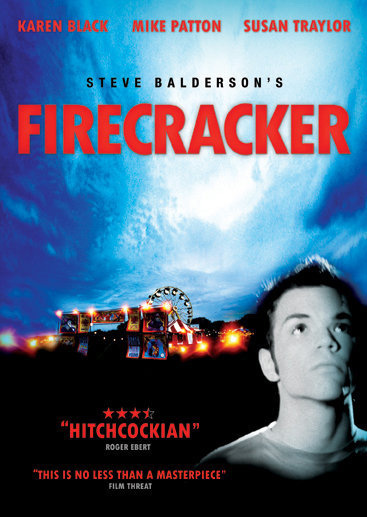 Firecracker was released ten years ago, when was the last time you watched it? (If recently) what kind of emotions did it evoke? I watched it for the first time since its release a few months ago, when I had the high-def 2k scan made of the original film. It’s just mind-blowing how much detail was there all along but that no one has been able to see until now. I cried when I watched it. It was very emotional. I felt very proud and thankful, like I had nailed it and also it left me feeling very curious. How the hell did I know what I was doing at that age? Somehow I knew. Or maybe I was just on auto-pilot. (Laughs). Don’t know. But, wow, what an experience that film was to make, and to watch. It oddly seems more current and timely watching it today than it ever has. That surprised me. For a little extra viewing check out Steve Balderson's 'Wamego: Making Movies Anywhere' which features behind the scenes footage of FIRCRACKER. WAMEGO: Making Movies Anywhere from Steve Balderson on Vimeo.